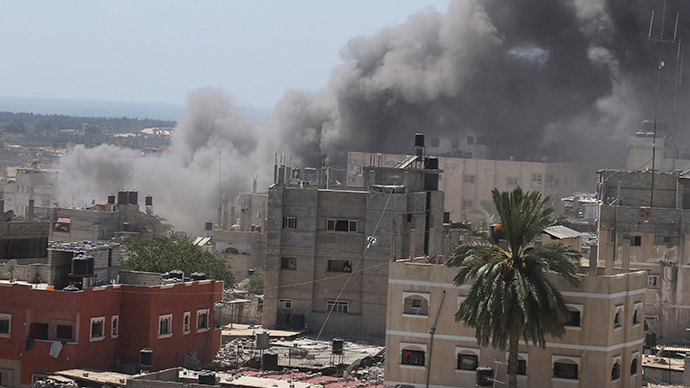 First Israeli citizen has been killed by a rocket from Gaza since the IDF began its Operation Protective Edge on July 7. A civilian in his 30s was critically injured at the Erez crossing on the Gaza border and died later of wounds. The first Israeli victim of the week-long conflict was a volunteer delivering supplies to Israeli soldiers deployed at the border with the Gaze Strip, police spokesman Micky Rosenfeld said as cited by AP. Update: The Israeli civilian who was injured at the Erez crossing has died of his wounds. 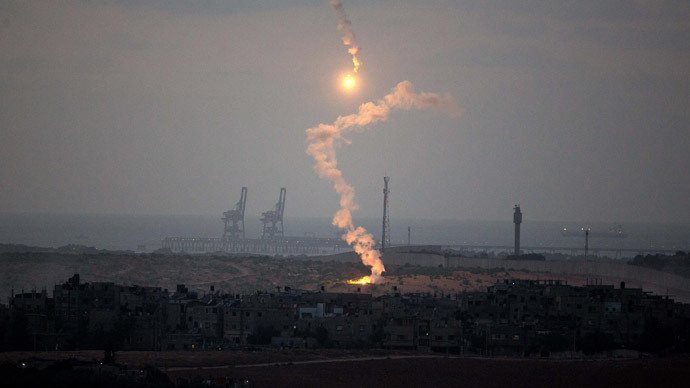 Hamas group has claimed responsibility for launching the short-range rocket that struck the area along the border with Gaza, reports Reuters. 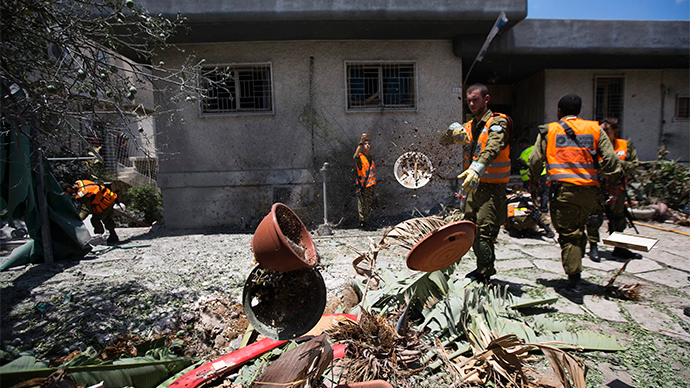 Earlier, the Israeli Defense Force (IDF) reported that a rocket fired from Gaza struck a house in Ashkelon, is a coastal city on the Mediterranean coast. No casualties were immediately reported there. On Monday, a rocket attack launched by Palestinian militants wounded two Israeli girls in Lakiya, a town in the south of the country. Maram Wakili, 10, was in critical condition in Soroka Medical Center, Be'er Sheva, according to Haaretz. Her 13-year-old sister Atir was moderately wounded. 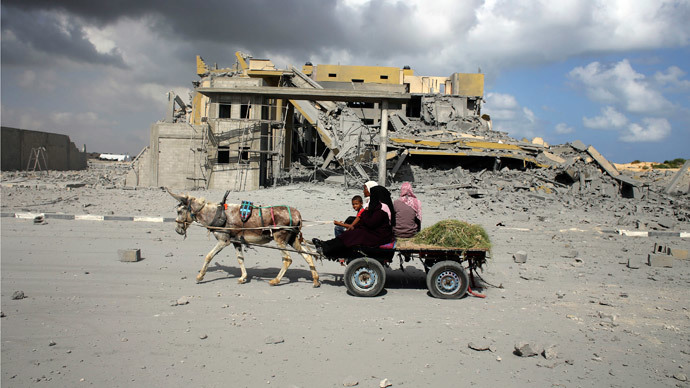 On Tuesday, Israel resumed its offensive against Gaza. 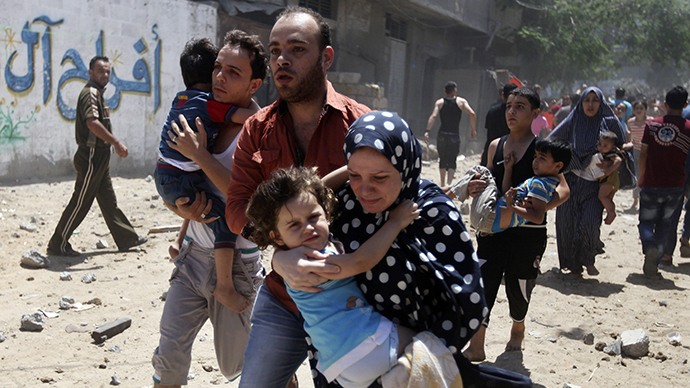 That followed a six-hour truce proposed by Egypt, which was accepted by Israel and rejected by Hamas. The Israeli military said that during the supposed ceasefire 47 rockets were fired by Palestinians all over Israel with more cross-border fire following after Israel responded back. Since 9 am, about 125 rockets were fired from Gaza at Israel. Around 100 of them hit Israel. The Iron Dome intercepted 20. Prime Minister Benjamin Netanyahu said Israel will intensify its offensive after Hamas continued firing rockets instead of accepting the ceasefire. “It would have been preferable to have solved this diplomatically, and this is what we tried to do when we accepted the Egyptian proposal for a ceasefire, but Hamas leaves us no choice but to expand and intensify the campaign against it,” Netanyahu said Tuesday in broadcast remarks. According to Israeli military, over 1080 rockets have been launched at Israel since the outbreak of violence between the two old foes last weeks. 845 of those rockets hit the country’s territory, while almost 200 were intercepted. While Israel has suffered its first victim, the number of fatalities among Palestinians is climbing to 200. Over 77 % of them are civilians, including 36 children, according to UN report.